Spring showers bring May flowers, but some of us can't wait till May to show off our floral prints. Flowers are a major trend for spring and summer this year, but they are not your boring floral prints like your grandma wore. Floral prints are all about adding a touch of color, while still looking fun and flirty in your outfits. You can be girlie and frilly, chic or add a touch of rocker girl all while wearing flowers. Floral prints can be found in dresses, tops, skirts, leggings and any other item you can think of. Check out my friends getting an early start on spring wearing their flower power outfits. All of them looking lovely and adding their own touch of style to each floral outfit. I was never a big fan of floral prints, but after seeing these ladies and all the awesome floral prints in stores. I am definitely going to get my floral on this spring. Are you? Weesha from Weesha's World is wearing floral top from Splash with leggings & BCBG peeptoe heels. It's her Hilda from Ugly Betty's inspired outfit fun and flirty. 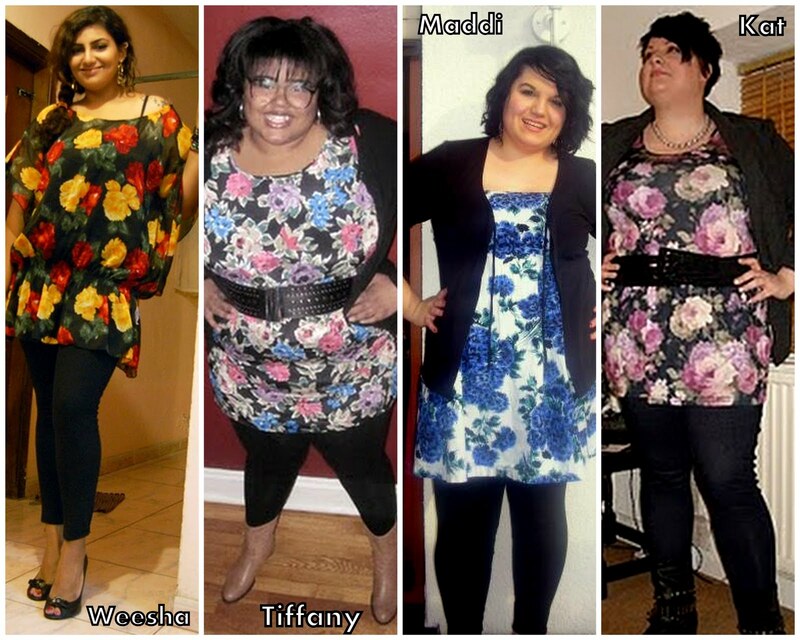 Maddi from Fatshion Forward is wearing floral dress from Faith 21, leggings and a cardigan. Although it was freezing in Germany she wanted to inject some fun spring floral into her outfit. 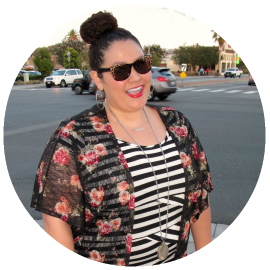 Kat from Plus Size Beauty is wearing floral top from New Look, jeggings, blazer and boots. Just having a fun night out with friends but she still makes sure she is looking stylish. I'm noticing another trend here, floral and leggings best combination stylish and comfy. 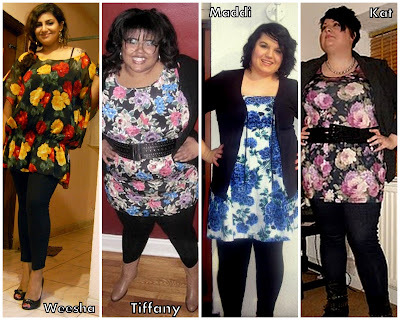 Thanks to all the ladies for letting me feature them in their awesome floral outfits this week. Go check out their blogs and see what other floral outfits they may be wearing! Just a friendly reminder, this weeks giveaway winner will be chosen from comments left on all the post from this week. So leave your comments and your chances of winning will be increased! all the friends look soooo unbelievably good ... wow ... got a rush of curvy girl power all of a sudden! LOVE this post CID! thanks! Ah, the floral trend. I'm trying super hard to get into it but I feel like I just can't find the right piece. The other girls look so great though! I love these features! I love the floral looks...I will have to try some of these looks on. I like the leggins/jeggins. I swear, I think I look forward to this section each week! I'm gonna give in and grab some floral prints very soon. I love em paired with black tights or leggings to make them much easier on the eyes. These ladies do the trend very well! I agree with Nik...this is one of my favorite blogger post:) I look forward to reading it every week. Love florals! You've included some of my fave bloggers. Its good to see them highlighted wearing such fab florals. I love the floral trend, even though I hated it to start with, I find there is a piece out there for everyone's style! 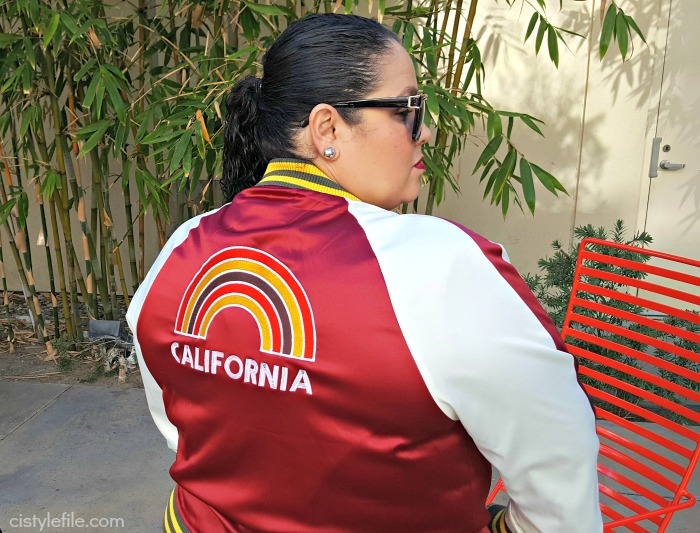 I love this post, and thanks for including me. Florals are the best print, because you can make them girlie or even masculine with a little blazer. Sorry, I confused you with my name too, It's Maddii with two i's, trust me my parents are crazy. 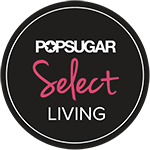 Thank you again, I love your blog!